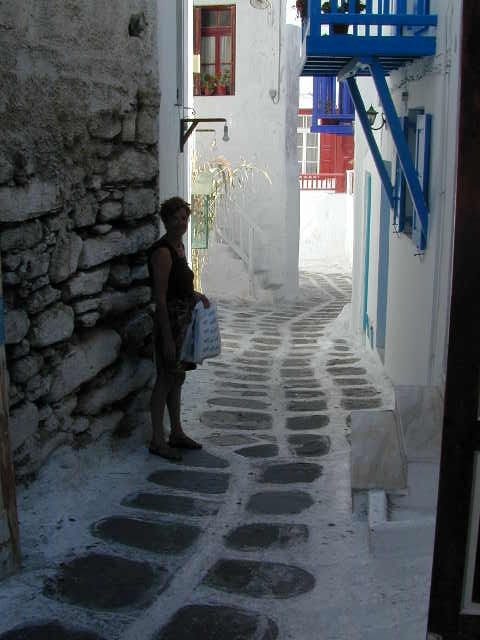 On our Crown Odyssey cruise through the Greek Islands one of our favorite stops was the port of Myknonos. 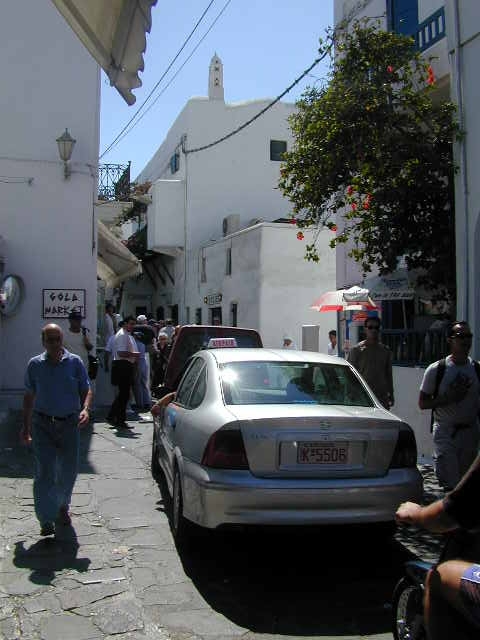 Mykonos is a quaint little town with really narrow streets. Kathy enjoyed the shopping and we spend several hours wandering through the narrow little streets shopping for tourist stuff. We saw a UPS delivery guy go by on his delivery bicycle... no way a truck or even a car would fit on those streets. 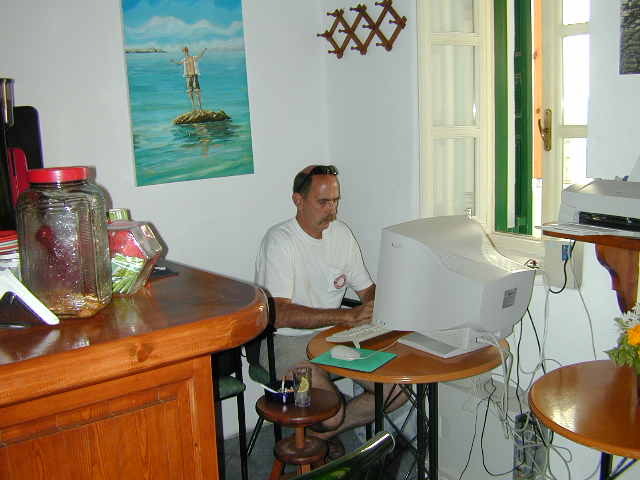 We found a neat little internet cafe where where we could upload our photos and web pages for our website and check our email. The owner of the internet cafe was named Lea and she was really nice. We spend quite a while chatting with her. 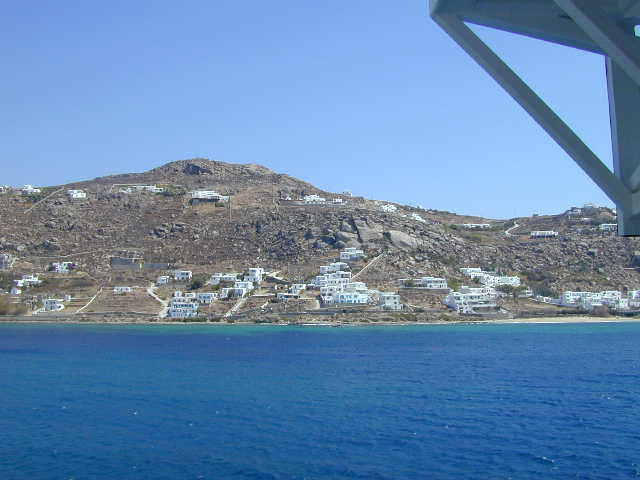 This is our first view of Mykonos as seen from our cruise ship. Windmills! 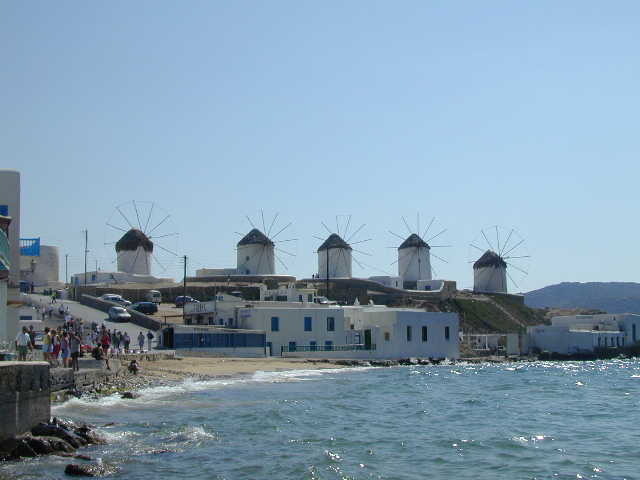 Why aren't there sails on the windmills? 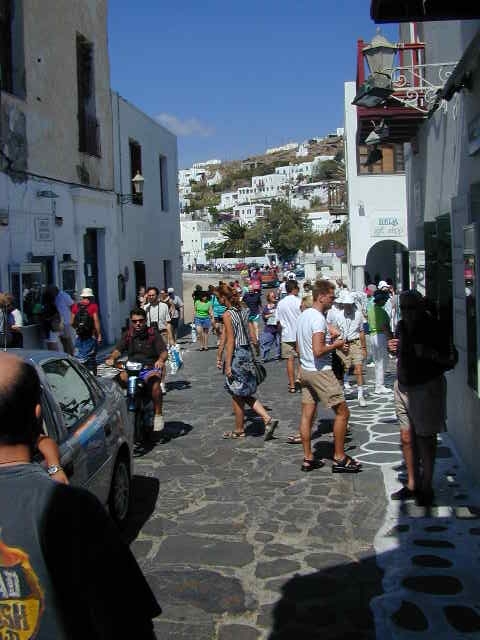 The streets near the harbor are pretty busy... lots of neat shopping. We had lunch at a nice little outdoor restaurant right next to the water, and the guy at the next table had red snapper... Do you see those teeth? 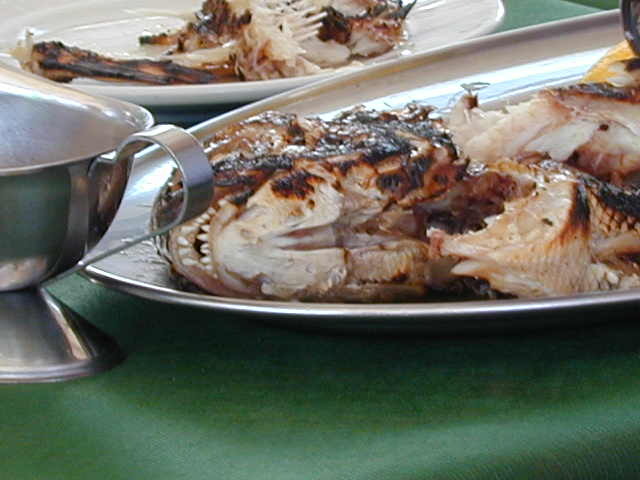 I didn't know red snapper had those nasty looking teeth. What is it about clothing stores and women? Kathy and Lea, the internet cafe owner... she was actually from France. Someday Kathy and I will be back there again.